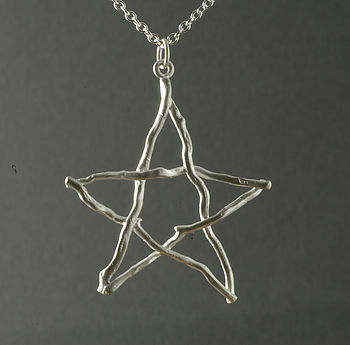 A simple,but delicately made sterling silver 5 pointed star,on an 18" chain. 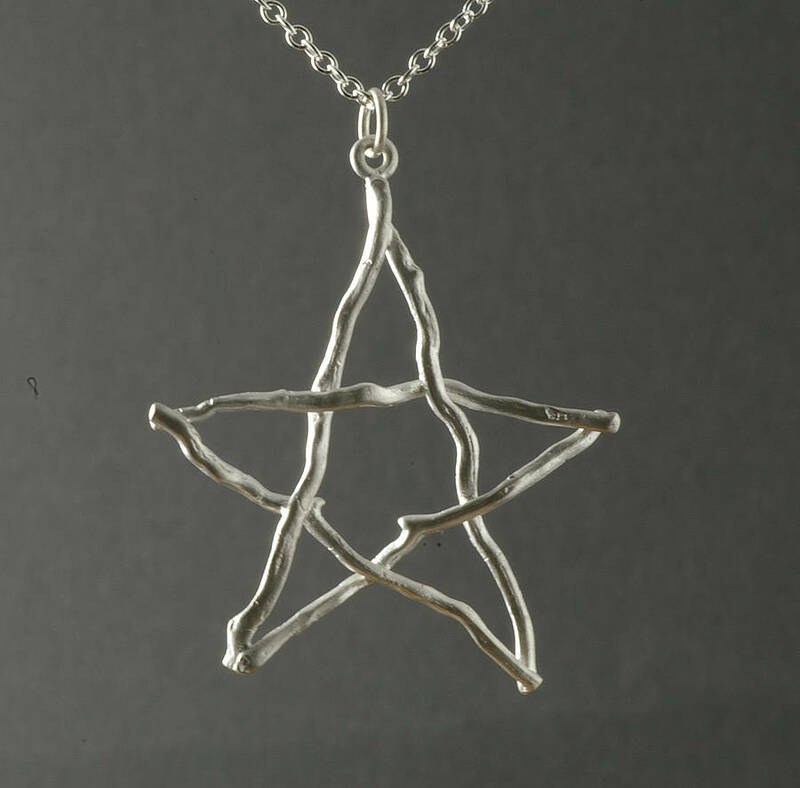 The pentacle is meant to help drive away evil spirits,and invite good spirits.This piece has been modelled from pieces of rose root,and carefully woven into the star shape. This pendant is the first of many talismans which will be added to the site. It would make a suitable gift for anyone who feels close to nature. This pendant is cast from sterling silver, and comes in a recyclable box and gift pouch,with the Anthony Blakeney logo.